I stopped at my LFS last night to find out what to do about some Cyanobacteria that is in my new cycled 29G tank. 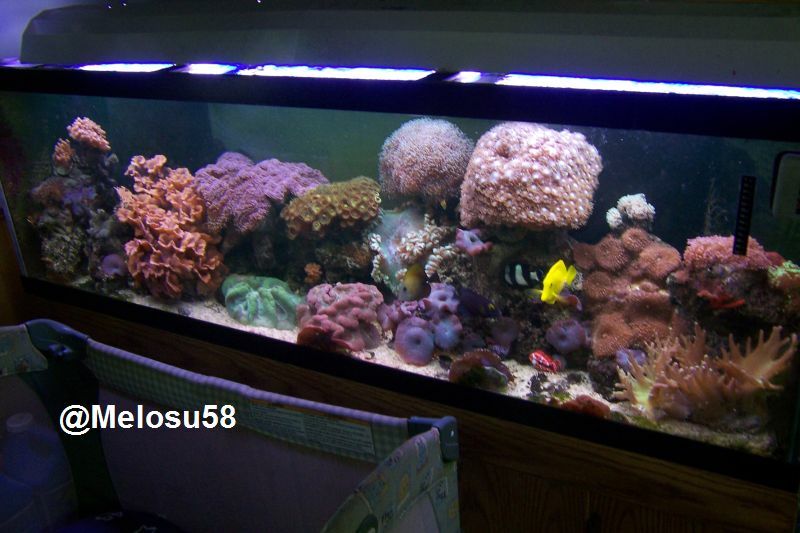 They recommended a chemical treatment that they use in their display tanks when needed. The name escapes me but it's in a powder form. Anyway, reading the instructions it says to turn off my protein skimmer, add a air injection device (such as a pump), do a minimum 20% PWC in 48 hours, and to wait 24 hours after the PWC to turn the skimmer back on. Anyway, I asked the LFS if I needed to purchase a air pump since I don't currently have one. I have 2 peppermint shrimp, 3 turbo snails, 1 narrsisus(sp) snail, 3 blue leg hermits, and about 16lbs LR in the tank now. He said that they should be ok with out the air pump. What's the opinion? Has anyone had experiance with this? I put the treatment in the tank last night but now not adding the air pump like the instructions said to is weighing on me. By the way, I have a HOB filter pump, w/o any media in it, running just for circulation. I also have 2 koralia nano powerheads running for current. Did you ask if it kills the cycle bacteria as well? I am thinking it might be some form of antibiotic that will kill all bacteria good and bad. According to the box it will only kill the cyanobacteria and will not harm the "good" bacteria, algea, fish, coral, ect... From what I read on another post, these treatments usually work by absorbing the dissolved oxygen in the water. That would be why they recommend adding an air pump I would assume and the reason for my concern. I am not for sure how much oxygen invertebrates need. Algae comes and goes in my aquariums I don't go out of the way to treat it, usually only with the lights, RO water and water changes. The only bad thing about using a chemical is that it`s a bandaid solution. If you dont find the fuel source then it will be back. Read this article on it. After reading the article I think what might have been the cause was using the store bought jumbo shrimp to cycle the tank. Since the treatment is already in I will let it go through it's cycle the do the PWC tomorrow. Now that the tank is cycled and I have some cleaners in there I can hopefully avoid further cyanobateria with maintenance.